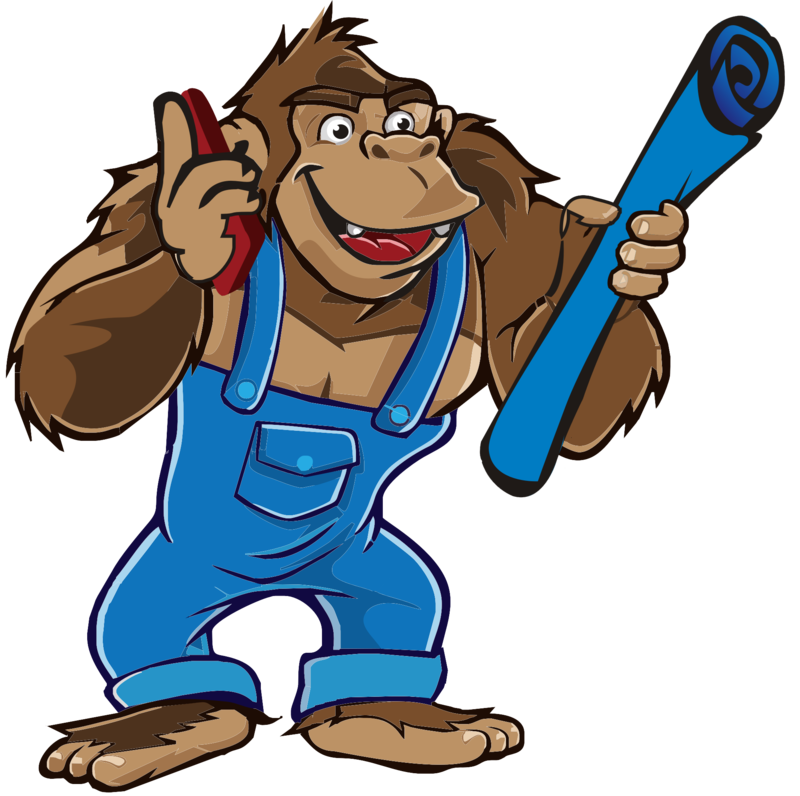 Gorilla Building, of Jackson, MS, is a leading insulation and roofing contractor. We carry a full menu of professional grade, eco-friendly polyurethane spray foam insulation and other professional grade insulation and roofing products including metal roofing systems. SPF (Spray Polyurethane Foam) is the best insulation product by every measurable category. Including- an incredible return on your investment, green improvement tax credits, air-tight seal, hypoallergenic, moisture barrier, reduces outside noise, deters mold, long life span, rodent deterrent, eco-friendly, adds structural integrity, to name a few. The benefits are endless! Now couple, the best insulation product with a professional installation crew and you will be sure to not only be pleased with the result but also save money both now and in the future because spray foam roofing and insulation has a much higher R-Value than old fashioned rollout or spray-in fiberglass insulation. Spray polyurethane foam insulation is a product created by mixing two chemicals, isocyanate and polyol resin, when mixed, heated and sprayed properly it expands a 100 times its liquid volume and fills all cracks and air gaps creating the prefect insulator. Spray foam insulation is a green product that is 100% safe for you and your family. Good insulation is the best upgrade you can make when building your new home. Developed in 1990-1991 and generally sold at a .5 lbs. density. We call open cell spray foam the cotton candy insulation. Creating airtightness at 3.5 inches and a R-value of 3.2 to 4.2 per inch depending on manufacturer. This is a great interior product for new home construction and retrofit applications. Open cell spray foam also has exceptional sound control properties. ROI (return on investment) for this product is fantastic and by far the most commonly used product in new custom homes. Generally install at 3.5 inches in walls and 5.5 to 6 inches on roof decking. This combination will generally reduce heating and cooling by 40% annually. No other product installed in your new home will pay you back except good insulation. Developed around 1940 and generally sold at 1.7 to 2 lb. density. Most applications for closed cell spray foam are exterior application such as under conventional homes or inside metal building. Closed cell spray foam is also commonly used inside of custom homes because of the superior R-value of 6.5 to 7.4 per inch. make no mistake about it, this is the best insulation product available for nearly any application. Just 2 inches of closed cell spray foam in 2×4 construction can increase wall racking strength by 200 to 300 percent. Closed cell spray foam is a dense, water, air tight product that bonds the structure together like glue. The only negative to this great product is price. Closed cell foam is a high end product that does reflect in the cost of application. This is the only insulation product approved by FEMA for use in flood zones. Cellulose is one of the older insulation products available if not the oldest. There are many products used to manufacture cellulose but news paper is the most common. Ground news paper is put through a dust removing process and chemicals added for rodent control and a fire retardant. The types of products available are dry cellulose or loose fill, spray applied cellulose or wet, Stabilized cellulose and low dust. There is evidence available that dense pack or wet cellulose can cause mold so at this time we do not install wet cellulose. Dry cellulose is a good choice for many home owners because of the cost saving vs. open cell spray foam. The down side to dry cellulose is the R-value compared to spray foam insulation. Fiberglass Batt and roll insulation is only used when someone is cutting corners. This is not a good product to install in your new home. fiberglass insulation causes skin, eye, and respiratory issues. Just install some of it and you will have a sore throat, cough, and maybe worse down the road. This product does have some good uses but being the primary insulator in your home should not be one of them. We have seen that homes insulated with Cellulose and fiberglass insulation are much more dusty than our spray foamed homes. Insulation dust will drift into your home for years and years to come after blown in insulation is installed. We highly recommend that if you have allergy problems to consider “SPF” Spray foam insulation. Copyright © 2019 Gorilla Building. All rights reserved.